With the variety of roofing materials available, it can be difficult to know what's best for your home. Use this guide to discover which is right for you, and to get a few tips on how to maintain your roof for long-lasting success. You probably don’t think much about the durability of your roof until you absolutely need to. But waiting until a leak or other noticeable damage occurs could result in costly (and lengthy) repairs. Whether you’re a first-time home buyer or a long-time homeowner, educating yourself on the pros and cons of various roofing materials is vital to both maintaining and protecting your home’s exterior and ensuring it lasts for years to come. The roofing material that’s right for your home should work for both your architectural style and your climate. Making the smartest choice in material is the first and best way to avoid pricey repairs down the line. Asphalt shingles are durable, easy to install, and will last around 25 years. 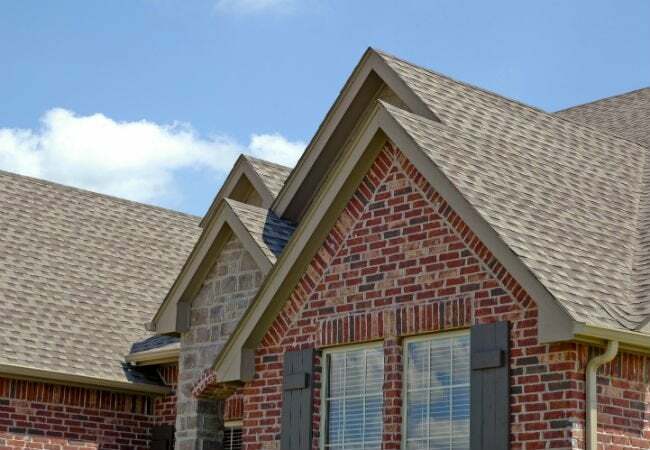 Available in a wide variety of colors and offered at the least expensive prices comparatively, it’s no surprise that asphalt is the most common roofing material. As a bonus, zinc or copper granules can be found in some, which prevents algae growth that plagues climates with higher humidity. Wood shingles and shakes are a favorite in both the Pacific Northwest and Western regions. Featuring a price that’s twice as much as asphalt (but with the same life expectancy), these uniformly machine-sawed—and sometimes handmade—materials offer a timeless, rustic charm to any home. If you’re drawn to this look, however, be weary; some municipal fire codes forbid the use of wood shingles, even though some now have a factory-applied treatment that makes the wood resistant to fire. Fire-resistant and extremely durable, tile, clay, and cement roofing are often seen outfitting Spanish-style homes in the Southwest. But with the unique look also comes a steep price tag, as they are around triple the cost of asphalt. The high cost is equalled by a high lifespan, however, lasting anywhere between 50 to 100 years. Slate is among the most durable roofing materials due to its heavy, natural stone composition. Although these qualities make it the most expensive—rounding out about 12 to 20 times the cost of asphalt—it may be worth the extra cost, as it can last over 100 years. Popular for flat or low-slope roofs, aluminum, steel, and copper models can be molded or pressed to mimic other types of materials, like shingles and tiles. Durable, lightweight, and weather- and fire-resistant, these roofing styles can last about 35 years and are similar in cost to tile, clay, or cement. If you want a slate or wood look, but don’t want to overspend, try synthetic, polymer, or composite roofing. These man-made options are offered in lookalike styles that copy the popular albeit expensive materials. Synthetic, polymer, or composite tiles are also lightweight, durable, and comparable to the lower price of asphalt. This material can last up to 50 years and requires little effort to maintain. No matter the material you pick, there are a few safeguards you should put in place to avoid costly damage down the line. Proper ventilation is critical to ensuring a long-lasting roof. If none is put in place, heat and moisture can build up underneath the roofing and cause structural damage or rot. Louvers, roof vents, and soffit vents can help prevent these problems. Leaks are an obvious issue to avoid. Consider installing metal sheathing called flashing at the points where different materials join, like around skylights or vents. Proper overlap and staggered joints are other ways you can prevent leaks. Your climate and the elements will be a factor in the lifespan and performance of your roof. If you live in a rainy area, you could suffer from roof deck rot if the proper steps aren’t taken. If rough winters plague your city, ice dams along the roof might be a common occurrence. Even strong winds can blow or break off shingles. • Shingles that aren’t lying flat. 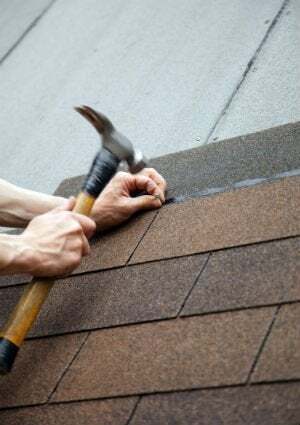 Another surefire sign that you’ll need to make repairs are shingles that show signs of cracking, curling, buckling, or other obvious damage. • Sagging areas of the roof could be a sign of rot or other moisture damage. The underlying decking may need to be repaired to stop a larger issue. • If you discover shingle granules in the gutters or downspouts, it might be a warning sign that your roof is at the end of its life. Keep in mind, a few misshapen shingles or a little leak may not be cause for concern—it may just need some TLC. If you’re worried, contact a roofing contractor to ensure everything is safe and secure.